You've found the home of the Colorado River Chapter of The First Marine Division Association. Within this site we hope to provide you with information about us, our members, our mission and our future. You can find our current officers, meeting times and location in the "About Us" section. While here, you can visit the Marine Corps Association site and read the Leatherneck or Gazette magazines. MCA also has a good bookstore with gifts for every season and occasion. 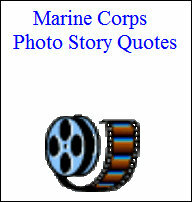 The Marine Corps League has interesting information and message boards to read and post to. You will be able to get more information about our Association by going to the National First Marine Division Association home page. They provide links and info on all the chapters and their locations, reunions, tour updates and plenty of other links. Our Magazine, The Old Breed News, provides current information on our Corps as well as maintaining the memory of our past glory. And of course before you leave you have to stop and see what Sgt.Grit has on sale. The links to all of these sites and more, are located on the left side of this page under "Highlights"
So, take your time look around and enjoy. This is a place where Marines can re-connect with lost Brothers, share memories and tell their Marine story. Register today and share yours.